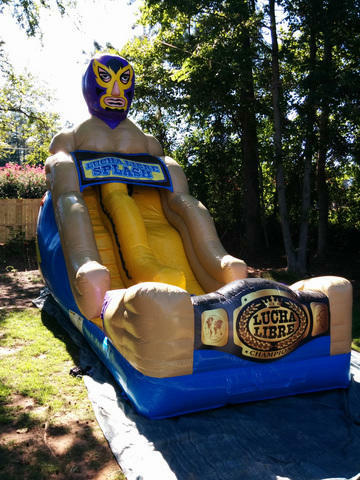 Wrestling and lucha libre fans alike will love this super slide! 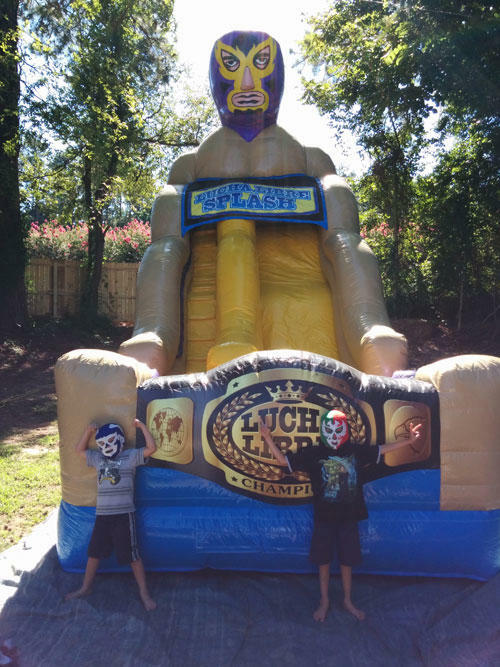 An 18 foot high "luchador" is sure to amaze your party guests, featuring a purple and yellow masked head soaring above partcipants as they slide down the wavy slide. The tall sides of this slide double as the luchador's muscular arms, keeping kids safely in the sliding area.